Behind a stately seventeenth-century mansion, set in a formal garden flanked by five ancient camphor trees, rows of manicured grape vines rise towards a phalanx of rugged peaks, maroon in the clear dusk light. On a similar crisp windy evening, 350 years ago, the first Dutch settlers urged their wagons across the low passes to the fertile valleys inland. To the south the lights of Cape Town glimmer under the broad bulk of Table Mountain. 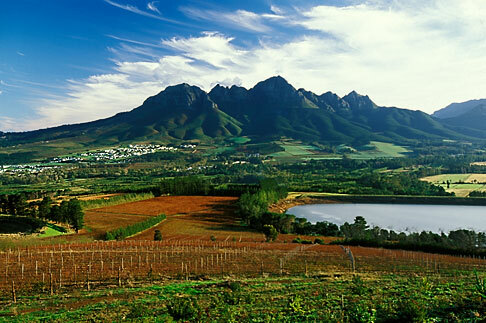 Across the rough crags of the Helderberg range, lie the rich winemaking regions of Stellenbosch, Franschhoek and Paarl. 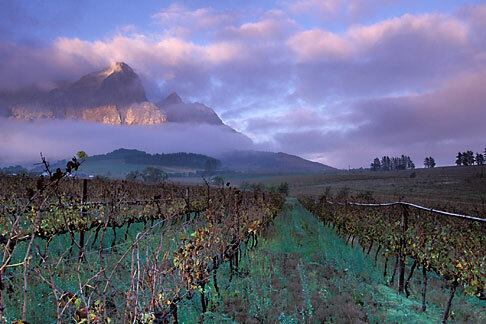 Even in the 1600âs the mountain slopes near the southernmost tip of Africa were recognized as prime venues for vineyards. 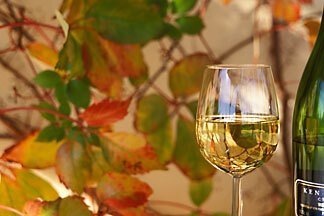 In 1659 settlers at nearby at Groot Constantia crushed their first harvest. 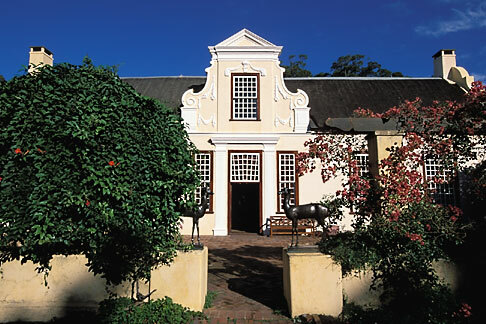 By 1706 William Adrian van der Steel had laid out the homestead, formal gardens, orchards and vinestock on the 7000 acres of Vergelegen Estate. The Cape region produces over 90% of South Africa’s wine and after centuries of isolation (by geography and politics) is eager to compete in world markets. A new breed of winemakers has emerged, trained in Europe and Napa, and energetic with new ideas – and money. Typical of the new vintners, Victor Sperling of Delheim, whose immigrant father, Spatz Sperling, instituted the first wine route and winery restaurant. Victor, studied in California and Germany and now manages the estate with his sister Nora. August Pepe from Lesotho, a young African who had just completed his wine master exam, led me through their cellars, past carved old wooden casks and brand new stainless fermentation tanks. 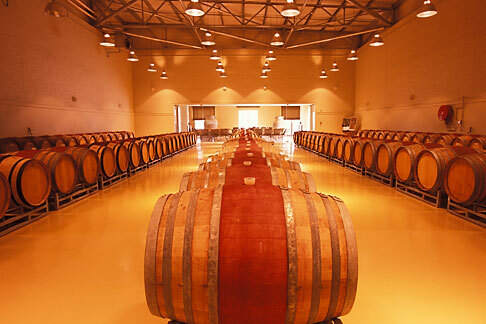 Nearby, the historic Rustenberg estate has also transformed its winemaking with a new gravity-fed cellar, though you can’t tell from outside. The restored white thatch farmhouses with decorated gables, set amidst bucolic green farmlands at the end of a narrow road lined with agapanthus, seem unchanged. Tokara Winery, on the pass to Franschhoek, sports a sleek, modern cellar cantilevered over the hillside. The restaurant is superb and classy (I had grilled mussels, shrimp and smoked salmon) and packed, even though the first vintage is still a year away. 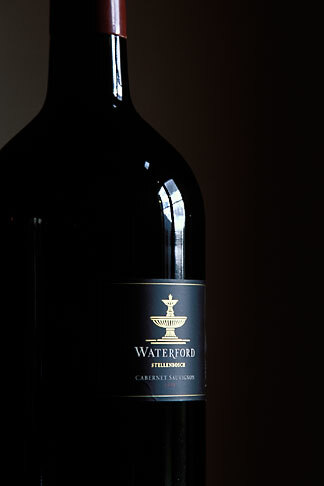 Other good bets include Waterford, whose Mediterranean-style stone cellar surrounds a courtyard with a fountain, weathered farm implements and sacks of fresh-grown rosemary. Inside, the tasting room feels like a living room with photos of the families, and a warm log fire. At the renovated Morgenster estate, Italian businessman Giulio Bertrand has planted olive trees and Bordeaux grapes, and winemaker Marius Lategan has developed a prize-winning Lourens Valley Cabernet Sauvigon/Merlot blend. 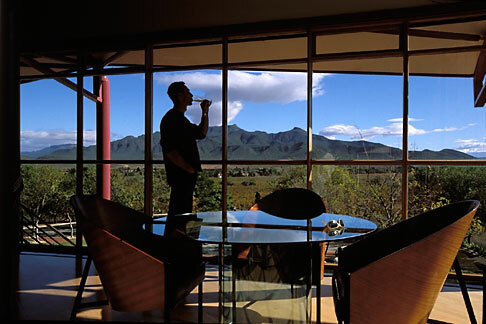 Further inland, at Robertson on the Breede River, Graham Beck’s avant-garde earthen-toned Madeba farm draws weekenders from Cape Town, keen to sample the Blanc de Blanc and Shiraz in the glass-lined tasting room. 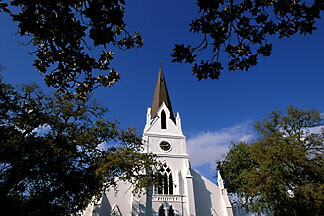 For more information on the winelands visit the Cape Winelands and Western Cape Tourism websites. Gracious thanks are due to South African Airways and Western Cape Tourism for their assistance with this story.